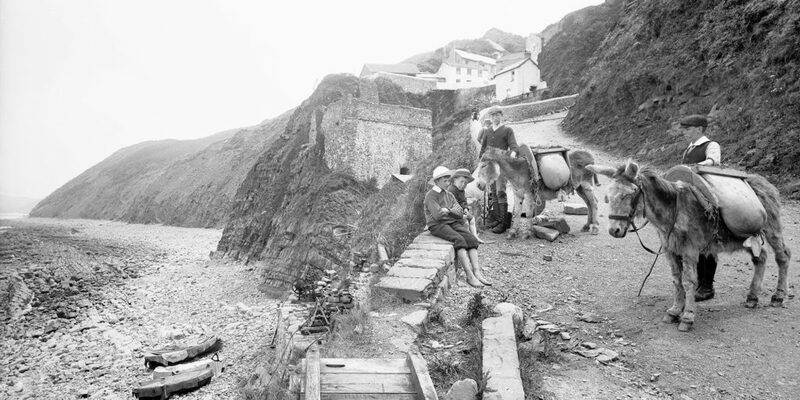 Pack donkeys at Bucks Mills, north Devon, circa 1906. We love rifling through the archives to discover a gem from yesteryear and we’ve found a wonderful example this month. Just along the north coast from Clovelly, you’ll find the seclude village of Bucks Mills, which like its neighbour Clovelly, but on an even smaller scale, winds down the steep cliffs to its own beach. In years gone by, it had its own small herring fishery (you can see the small fishing boats on the left of this photograph). Donkeys were utilised to bring goods up and down from the beach. Source: Francis Frith & Co.
Do you have any fascinating vintage photos like this one?